Now that I’ve finally got up the post about the non-scientific Reiki and energy healing; I guess it’s time to pick up the science behind pattern-changing yoga. This is something wonderful called Shivanata. And you’ve heard me mention it about five MILLION times so far. I love and believe it so much, I now teach it. Feel free to take a look at my class list or find out how I began. I’ve written this review post about 15 times in the past year; never quite making it to publish. I am an affiliate for this one, because I believe that EVERYONE can do it and would benefit in some way from it. So. Here goes. Shivanata, or Dance of Shiva, is a dance based on principles of yoga and neuroscience. Yes; I did say neuroscience. If you’re not interested in science; please skip the next paragraph. For those people who want the background information, here we go. If you cross a field; at first it’s hard going and you trip over the molehills while falling down the surprise ditch and weave around the dog poo and broken glass. It takes effort and time to watch out for danger and keep in line with your destination – a tiny gap in the fence at the other end which takes you onto the pavement. After walking the route for 5-days a week, for 2 years; the grass is flattened where you walk; the molehills are squashed down and you automatically hop over the ditch without even thinking. It takes you 5 minutes less time to get across the field than it did before. In your brain, there are little pulses of energy which travel down wires. In between two wires; there are ditches. If they use the same route enough; the neurotransmitter is increased; creating a bridge at the ditch so you save time; not even having to jump over it. Shivanata strengthens these connections. It makes you walk the paths over and over. And each time you use the path; or move your arms – it flattens a molehill and adds another clump of mud to your ditch-bridge. 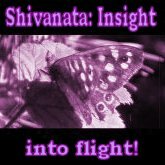 Shivanata uses mental [numbers], spatial [planning movement] and physical [limb movement] energy. The brain usually does one, or two of these at a time. Not three. By using all three; you’re strengthening the wires between those three areas of your brain. The wires cross the “corpus callosum”. In biological terms, this is called Long-term potentiation; if you’re interested in looking it up. It creates new bridges/synaptic ends and keeps the synapse-growth chemicals in large supply. In a nutshell: Shivanata strengthens the wires between left and right brain hemispheres. This means the two sides communicate faster and more efficiently. This has some pretty awesome side-effects. Core strength. As it’s a yoga dance; you’ll gain physical fitness. My arms are stronger and toned thanks to this process. I can even stand up for a while without back pain; which is something I couldn’t do before. Cognitive Skills. Because you’re creating stronger and faster connections across your brain, it allows you to do things faster – problem solving, learning, fast reactions & memory. Brain Health. Every day something like 6,000 neurons [wires] break down due to the aging process. The synapse-growth chemicals deplete with age. Long term potentiation causes the wires to add new bridges [in case one wire breaks, you can still get to wire B via half way up wire A if the bridge at the end breaks]. 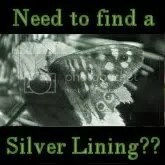 If you can help add new bridges as part of your life; you’ll be healthier than lost who’re only losing. Bing Insights! This is something that isn’t scientific. Except that every practitioner I’ve ever spoken to gets these moments of “Bing”. I assume that in making these connections; it allows our brains to connect two previously unrelated ideas and make a strong link. People have had £1,000 ideas because of this practise. Habit changing. The main aspect of this process is that it helps you to understand yourself, and your habits. This makes it easier tochange those habits. To build new bridges and strengthen new wires – the new habit’s path. In order to keep strengthening Different wires; you need to mix and match the levels. If you master a level; you’re wires are at optimum for those movements and habits. So step up a level. If you want the brain-building effects, it’s important to challenge yourself and get things wrong. If you’re able to do it without mixing it up; you’re no longer helping your brain or challenging your muscles. Because of this, you can never finish it. It really will be a practise you can do for decades. I’ve been doing it a year and Level I is easy, bits of are Level II do-able and the ideas of Level III are so far beyond me. There are 8 levels… Havi is one of only two people in the world to ever reach level 7. Practise can be done in 30 seconds if you wish; but the more time you spend on it; the stronger your results will be. Doing 3 minutes every time I boil the kettle helps my day flow so well. However, I did find the positions very hard at the beginning. Please stick it out. It’s such a good practise and the challenge shows you that it’s helping. If you’re struggling; it’s re-wiring your brain and strengthening your arm muscles. Also – the DVD doesn’t mention that you’re not meant to get it all right. So it can be challenging to stand there getting it wrong while he’s standing there getting it all right. Gosh darn! Personally, I don’t use the DVD much. I use it to get the basics and then I write out the numbers or look at the patterns in the information sheets. I find the DVD too fast to begin with and I live in a house with people who’d probably think I was crazy doing yoga-brain-training. 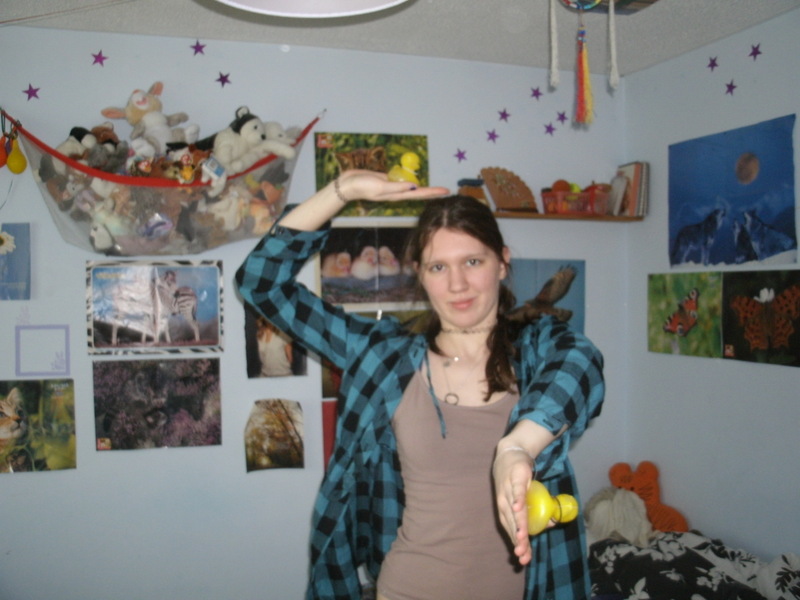 However, it’s very useful to see an actual person doing the moves; especially with the vertical plane. Some of the diagrams don’t make it clear where your arms should be; I remember thinking Vertical position 1 was impossible – until I saw how he moved into and out of it. Then it became second nature. If you have the DVD, by the way, you can upgrade to get Havi’s kit without the DVD; making it cheaper for you to access the extra goodies. There are so many other reasons – I haven’t begun to talk about what’s in the eBooks or how we get 15% off her book when it’s finished or how I incorporate it into teaching meditation and dance. But this post is getting long and rambly now, so I’ll just leave you the link and say that this practise has helped me to revise for exams, make connections in essays, understand my own patterns & become physically fitter. It’s challenging, never-ending, gives brilliant results and for everything you get; it’s so under-priced. If you buy directly from this link, I get a little bit of money to support my own practise. Thank you so much for that. *This is just my personal opinion and the DVD is certainly amazing as a yoga/dance practice. I’m a scientific theist. A pantheist and half an animist; in fact. Pantheism – “god” is everywhere/thing. Manifest – see here for my thoughts on manifest deity. However, I’m also a scientist. I took a course on quantum Physics; where I found myself able to believe [with ease] that the universe is nothing but energy; that particles can be in two places or states at once and that string theory has a lot going for it. My psychological and neuroscientist training tells me that our thoughts, emotions, beliefs and behaviour are the result of chemical neurotransmitters; much like electricity down wires. I’m sceptical of homeopathy and even a little sceptical around chakras [there being somewhere between 7 and 90 depending who you listen to]. However; in college I took a course which gave us a basic understanding of the history, ethics & philosophy of science. And we were asked to find something that wouldn’t be considered scientific; to analyse it for scientific “worth”. I chose to look at the possibility of energy healing. I was already working with Auric energy and doing distance healings. I believed in the energy of the molecules in our body – blood moves via kinetic energy and we let off heat [thermal] and so on. I knew we were energetic beings. Two books I found particularly useful were The Field (by Lynne McTaggart) and The Biology of Belief (by Bruce Lipton). They outlined the physics of energy found in our biological bodies and discussed how we can alter our biology via thought. If I visualise a tiger behind me; I can increase my heart-rate. If I imagine a warm fire; hear it crackling in my mind; I can stop myself shivering in the cold. Our minds and bodies are connected. Therefore; it made sense to believe that by focusing on body parts with the intention of healing; directing energy to them – I could alter that chemistry as well. Reiki isn’t a specific fix. If you have a bad back; doing Reiki on the back won’t specifically help that. 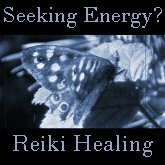 However, having a couple of Reiki sessions will help the body to use its energy well. It may well send that increased energy to your back; especially if you and the practitioner are both focusing your mental intent on that area. Even the most sceptical scientists [like my other half, who is a medical student] agree that relaxing the muscles in the body; thinking positive and loving thoughts can resting will lower your heart-rate and blood pressure. This in turn, allows the nervous system to focus on healing instead of on keeping your heart rate steady or keeping your mind focused on your work. If you’d like to experience energy healing for yourself, please pop over to my soaring store. With tarot and rune readings, I’m focusing my mental intent upon the insight. Our brains filter out 98% of all information we receive. When you wlak down the street; youdon’t notice every persons hair colour or car make and model – you only keep the information that is important – the hole in the pavement you mustn’t fall into and the people you mustn’t trip over. With insight readings, I’m calling upon the information subconsciously picked up. I’m being presented with options and I apply them to my knowledge. In this way, the runes and cards are just a little checklist saying “have you thought about this?” Often, it’s something I haven’t thought of – allowing me to be proactive in my life decisions. If you’d like to experience these insights for yourself, please pop over to my soaring store. If you’d like my thoughts on other topics, please leave a comment. For the next 4 weeks, I have a discount going in the shop; so trying out my insight and healing packages is even easier. This week has been about self-reflection and rest. I’ve been catching up on my blog-reading, flipping through books on my exam topics and paganism, unpacking, planning walks & watching comedy shows, applying for a masters course and drinking a lot of tea. My twitter feed is 80% inspirational/motivational people; those whose blogs have inspired me or whose cause I believe in. The links to blog posts this week have been really amazing. In fact, one theme keeps appearing all over the place; one topic keeps getting blogged about this week, and it relates to capacity. I’ve been in a restless state for about 5 months now. I’m unable to sit idle. Even while watching television, I have to be playing solitaire or holding my tea cup. It’s not a compulsion to do; as I can be writing a blog/paper for university; with books open to refer to and five papers open – I can’t even work to music anymore: I need to have a movie on; need to have movement, sound and emotions alongside my essay or blog. It’s almost as though I’ve reached a stage of needing to overload my senses. Typing isn’t enough. I need to see pictures moving, hear noise and be moving my hands; all at once. It’s not a compulsion to be consistently DOING; as long as I’ve a lot to be taking in. I can work on and off and sometimes I actually stop working even if the flow is good and I’m in the right zone: I’ll still break that good focus to play a card game. And then can’t get the focus back. Is this physical outlet of worrying arousal? Goddess Leonie talked about the physiological aspect of panic; something that as a Psychologist interested in the neuroscience of people’s behaviour, I felt I should have remembered. Marissa discussed the busy-ness [business] everyone’s so into these days and how being around other busy people can affect it. Like.. living in a student house with girls who’re doing dissertations and a master’s course and trying to earn money just to pay the rent alongside that? So I’ve been burning essential oils, exercising outside and focusing on how much time I have to do everything. And stroking my cat. A lot. However, I wonder if this is even a natural response. Could this in fact be a form of depletion? I can’t function yet I can’t take weeks off to delve into it and really explore and heal it. Or could it be my self-beliefs? I wake each morning exhausted from 5 hours of nightmares; eat junk food, sit around feeling tired but not doing anything to change it, exercise because it releases anger/anxiety – but tires me out even more.. This is the down-side of being a virgo & psychology student – self-analysis until the object of focus is nothing but dust. What would happen if I took responsibility for myself? If I decided that, No, this is NOT acceptable. What if I re-wrote my rules of governance? Let’s re-discover the Book of Me and set some boundaries. It seems I’m good at limiting myself. For the next week; let’s try burning essential oils everyday, opening the damn window, daily shivanata/yoga/reiki, dance, gratitude lists, VPAs and maybe invite Elizabeth and Sonja round for tea in my cottage. – Write a VPA for the week, and maybe Wednesday too? Do you suffer from restlessness or anxiety and have some tips to share? It’s half-way through March and I completely blanked on posting the updates.. so.. here is what’s going on currently with my 3/2/1 challenge of the year. I’ve been doing Reiki about twice a month, energy work once a week, meditating once a week and tonight I even began burning oils. Plans for these five weeks? More energy work. More oils. Diet had fallen off the rails; now I’m home I’m at minimum reaching my 5 a day. I’m eating a reasonably bad diet in between my meals, still; but it’s something I’m hoping to adjust with time. Plans for the holiday; eat less junk but keep eating often. Noodles, pasta, toast are all good compared to chocolate. Still doing push-ups and I’ve even been doing my physiotherapy exercises lately too. During February and early March, I was good with the yoga – practising the sun salutation some mornings, and dancing at least once a week. Shivanata has stopped again; but I found a specific blockage for that which I’m now working through. Plans for the next month? Hoping to add Wii yoga, Wii jogging, weekly walks [walked 5 miles today], Shivanata practise and the sun salutation. I’ve been doing Reiki about twice a month, energy work once a week, meditating once a week and tonight I even began burning oils. Plans for these five weeks? More energy work. More oils. I need to apologise, for I’ve abandoned you a little these last few weeks. I reached a state of mental health where I’d feel hunger pains but couldn’t fathom how to make it stop (such as go make food) and generally had so much sleep deprivation I couldn’t function. I’m now home for the holidays where, although I’ve a lot of work to do, I get fed dinner and am alone much of the day; able to reflect, meditate or catch up on sleep. Last Wednesday, I attended the monthly Pagan pub moot in Brighton. We had a talking stick circle and I loved hearing and sharing views on reincarnation and how the local pagans connect with deity. When I began my search for Paganism; I began with the Norse gods. I learned to cast the rune and read/write the furthark; which I still use to write down personal notes about my practise. However, in the last… four years pretty much; I’ve abandoned all practise and become more of the religion than the craft. In the past year and a half, I’ve been casting circle more and getting back on my feet with ritual. I began with runes and a book called “A woman’s guide to the earth traditions” which led to me to native American spirituality and shamanism. I was open to Wicca throughout this and my bookshelves still reflect this. Upon discovering a Wiccan coven, I was immediately connected to both the Wiccan and Druid practises [the day after my first wiccan ritual; I went to a druid one]. Since then, I’ve felt most at home with the druid gatherings and go when I can. This year, I’ve even found my strength to tell my parents I won’t be home as soon as Uni ends on June 3rd. I’m staying for summer solstice (19th June) and the harvest celebrations (31st July), Buddhafield (13th July) and my… seven year anniversary of my dedication (June 4th). Seven, as in pretty much anything magical, is important. And inspired by the number of Norse and Celtic deities mentioned at the pub moot and my possible trip to Ireland in September; I intend to focus a little more on those aspects of practise for my eighth year. My two favourite books are by David Clement-Davies and cover Fenris and Tor [Tyr]; creating Wolven gods for the main characters from aspects of Norse mythology. I’m planning to come full circle with a year of practise and getting back to the Norse and Celtic roots while I continue my private and open Wiccan and Druid practises. I’ve become a believer; but I’ve stopped learning; stopped seeking those roots that keep me grounded. I’ve a daily practise, but I’m not a practitioner. And I intend to change that. 2 . Connect with Spirit. 3 . Get into Routine. 4 . Track Word Count and Read 26 Books. Got A Book Waiting To Be Proposed? Procrastination getting the best of you?